Halover, the winner of the 18th SAMDPR. The 18th South African Million Dollar Pigeon Race (SAMDPR) on 25 January began with an expected tailwind, so pigeons were liberated an extra 111km away. (The original scheduled distance had been was 550km.) As controversial as the decision might have been, it was based on data from the weather bureau, and the NSPCA was present at liberation. Unfortunately, the wind failed to materialise. Instead, soaring midday temperatures saw only 55 pigeons from the field of 3 478 return home on the day of liberation. They were truly the warriors of the skies! The first pigeon timed in at 3.43pm, while the 55th arrived at 7.12pm. By Sunday night, 772 pigeons had returned. On 2 February, the total was up to 1 064 birds. The first two pigeons built up a 12-minute lead. Halover won the race. 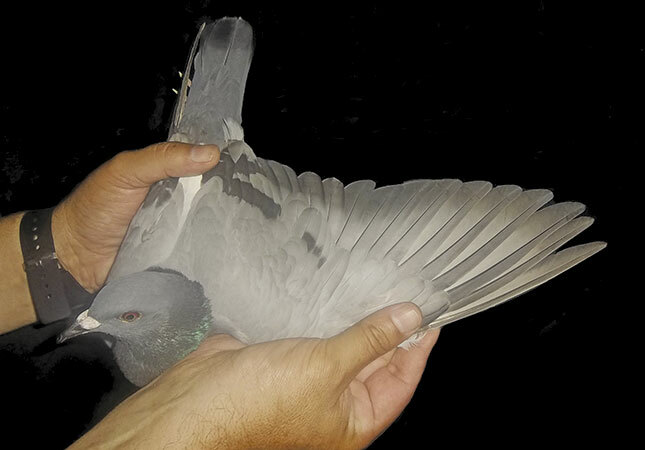 A fine blue-barred hen entered by Karl Ziefle from Germany, it completed the 661km journey from Prieska in the Northern Cape to the loft complex at Linbro Park, Gauteng, in nine hours, 43 minutes and 49 seconds. It went for R210 000 at the auction after the event. Second, and coming in only one minute, 55 seconds behind the winner, was Q8 14. 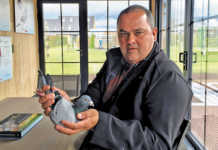 Another blue-barred pigeon, it was entered by Fayez Q8 from Kuwait and auctioned afterwards for R145 000. 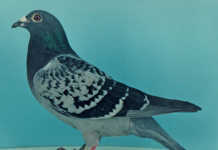 Rocky, a dark, chequered pigeon entered by Maria Krempler from Austria, came third, completing the race in nine hours, 56 minutes and 19 seconds. It was auctioned for R185 000. The Zandy Meyer Memorial Car Nomination Race was held in memory of the former race director and founder of the SAMDPR. For an additional R11 000, participants could nominate a pigeon in the main race to compete for prizes in this event. There were 163 entries. Typhoon came first winning Jan Hooymans from the Netherlands a new Mercedes Benz SLK-55AMG valued at about R1,5 million. The 43rd bird home in the main race, Typhoon was auctioned for R85 000. The SAMDPR Grand Average Ace Pigeon was Thriller, entered by Rory Smith Lofts from the USA. It came 13th in the final and was auctioned for R22 000. The runner-up was Leader, bred by Alois Grueter and entered by Team Pilatus from China (27th in the final). Johnson-Leonard from Ireland won the Knock-Out Competition with Finglas Tornado bred by Gerry McCourt. This competition is based on a sliding scale that knocks out the late returning competitors in each of five races, starting with the second Hot Spot Car Race. Some 92 pigeons eventually took part in Round 5, which was, of course, the SAMDPR final. The Hot Spot Car Race Ace Pigeon – the best performer in the five Hot Spot Car Races – was Carino, entered by Eldorado Lofts of Canada. 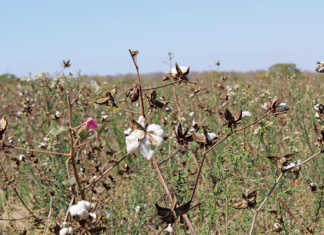 The SAMDPR Local Challenge is for SA fanciers only. The winner, with the first SA pigeon back in the final, was JW le Roux with Elisa. 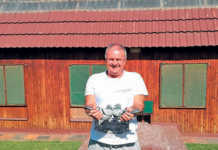 The 61st bird home, it was auctioned for R8 500. Second, in 65th position, was Penkin-Kearsey with Rhonda, which was auctioned for R14 000. Third (105th) was Tommy van Zyl with Elize, which is still to be auctioned. Elize was also the competition’s Average Ace. No pigeon in this or any race is ‘whipped’ or forced to remain airborne. Once fatigue and exhaustion finally reduce its reserves during extended flight, a pigeon is free to find food and shelter elsewhere. If you come upon one of these pigeons, you can keep it going with water and mealies. Then please contact the SAMDPR organisers at 011 680 1118, or [email protected].